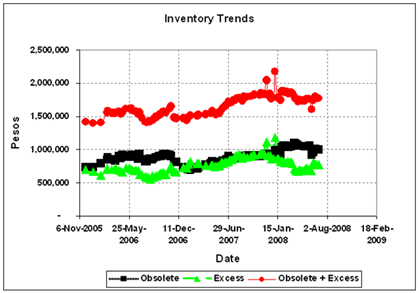 Unfortunately, most companies accumulate obsolete and excess materials which need to be measured. There are currently two versions of OBSOLART which do just that. Both are designed to run as Windows Scheduled Tasks for automatic updating while you sleep. 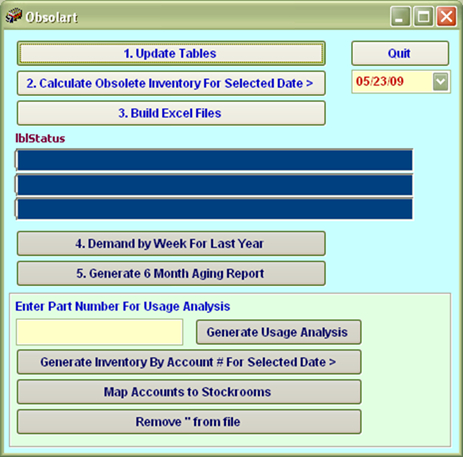 An additional feature of OBSOLART is the ability to run a usage analysis on a given part. 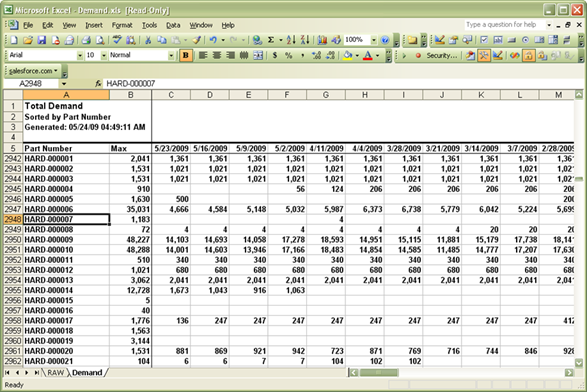 Click here to view a usage analysis example.